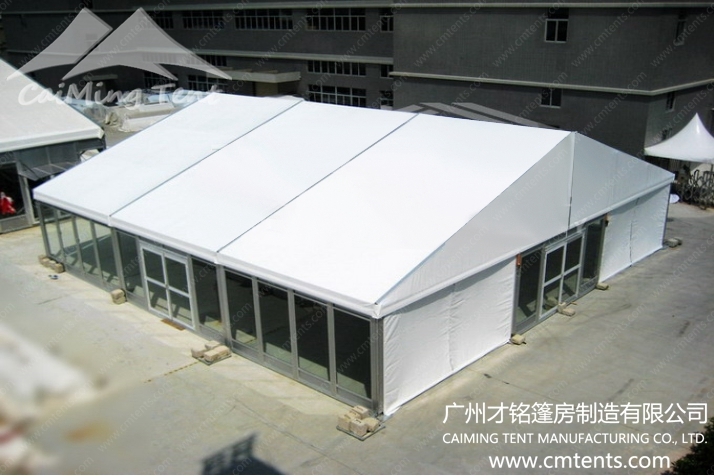 The clear span common width of New Party Tent series are 3m, 4m, 5m, 6m, 8m, 9m, 10m and 12m, the eave height (side height) is 2.6m. 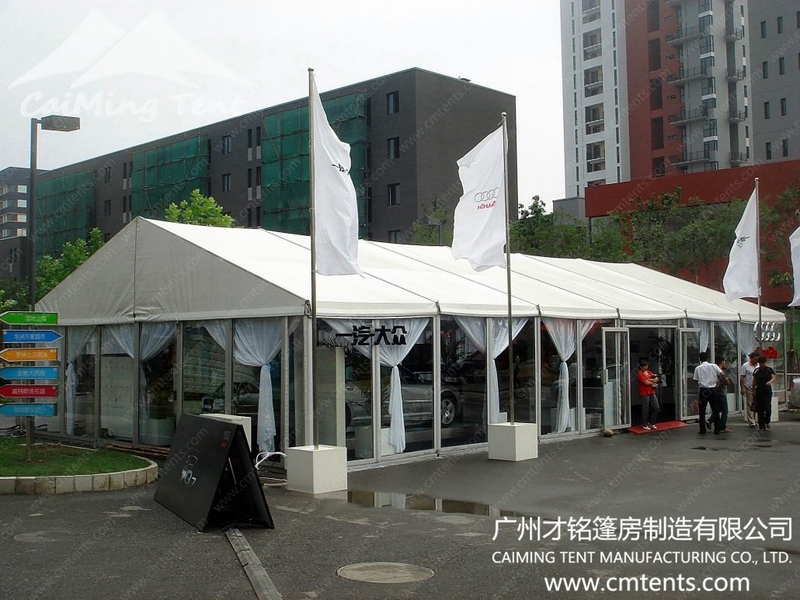 The new party tent adopts modular-combination design so that tent length can be extended or decreased by every 3m. 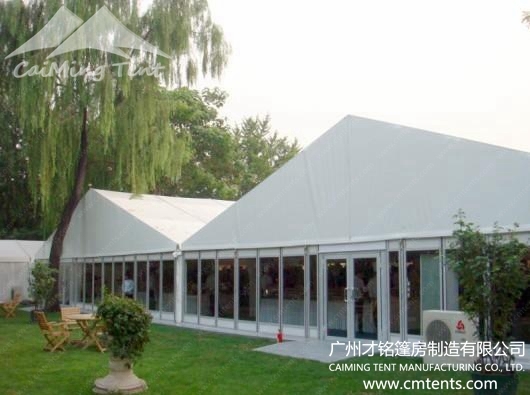 Tent frameworks (upright support and roof beam) are made out of 100x48x3mm four channel high strength extruded and anodized Aluminum (6061/T6) , and the PVC covers use double PVC-coated polyester textile which is flame retardant up to the European standard DIN 4102B1, M2, 850g/m2, there are two kinds of PVC fabric for your choice, blockout and translucent. 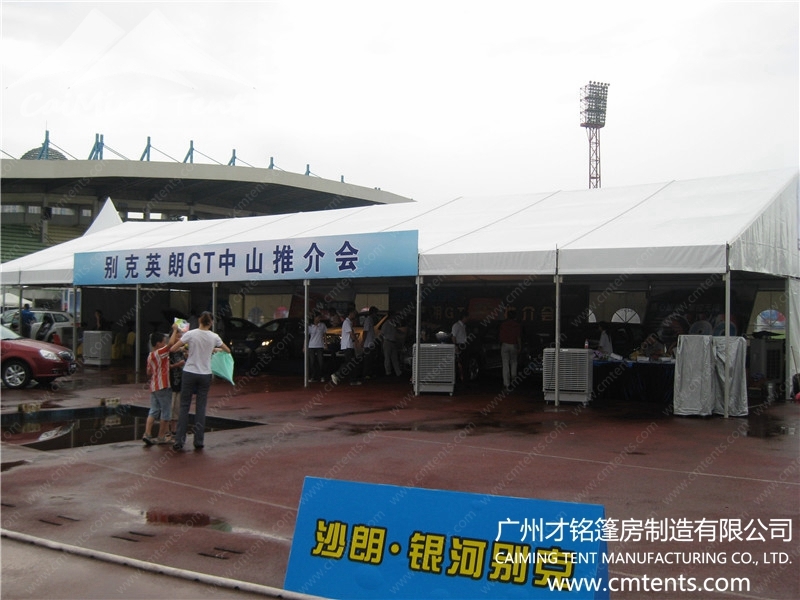 temporary exhibition hall, ritual celebration, wedding party, products promotion, sports events and so on, also can be used for temporary warehouse,workshop and emergency relief. 1. 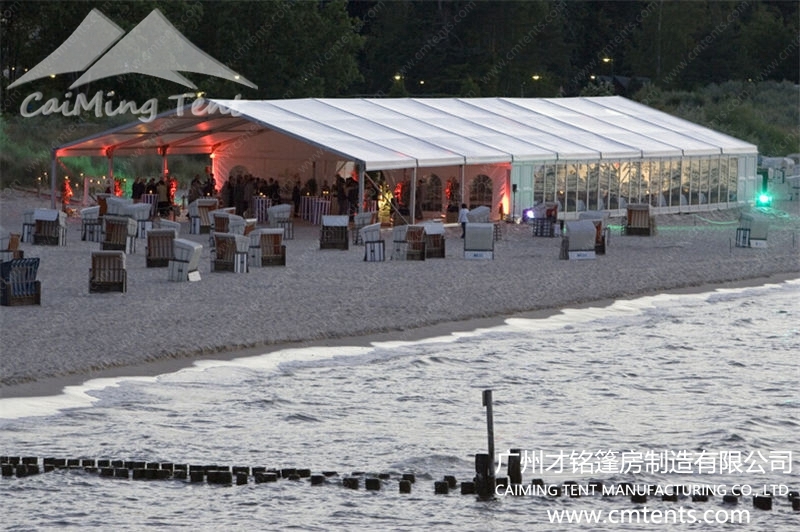 The New Party Tent uses the bar-tensioning system instead of the rubber-tensioning system. 2. The sidewall is fixed on the eave beam instead of being hung on the round bar with rings. Therefore,the wind loading and tightness have been greatly improved , all parts are interchangeable. 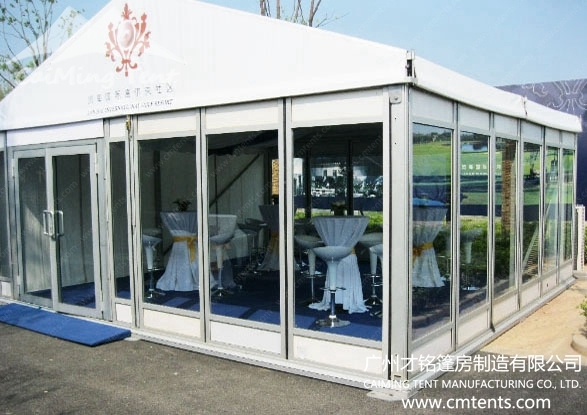 There are many optional accessories available for New Party Tent to further extend its usages, common accessories include PVC clear window sidewalls, ground anchor, weight plate, lining decoration, glass wall, glass door, ABS hard wall, clear PVC roof cover and sidewall, flooring system, rain gutter, 1/2 hexagonal gable sides and high peaks on top etc. that can satisfy various required functions.